The 6th European Conference on Space Debris, recently held at ESA’s European Space Operations Centre, concluded space junk is already a problem, but it may soon morph into a full-blown crisis. The amount of debris in orbit has reached a critical point whereafter a so-called “collisional cascading effect” begins to dominate. 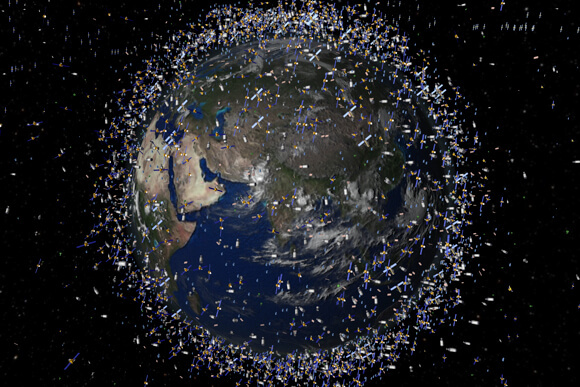 Unchecked, space junk may well worsen exponentially in the coming years. A solution to de-orbit old spacecraft by pelting them with ions from an ion-thrust engine. In February 2009 an irridium satellite collided with a defunct cosmos satellite at a relative speed of 42,000 km/hr. Both satellites were pulverized, adding 2,000 new items of debris to the orbital scrap heap—that’s two objects to 2,000 in one collision. One such collision is enough to accelerate the rate at which junk is accumulating in orbit as well as up the rate and probability at which such collisions will occur in the future. ESA says, absent countermeasures, the collision rate will eventually be 25 times worse than it is now, making spaceflight in low-Earth orbit nearly impossible. Experts recommend immediate action. Necessary but not sufficient, all major space agencies should (and most already do) implement plans for disposal of spacecraft after missions end. 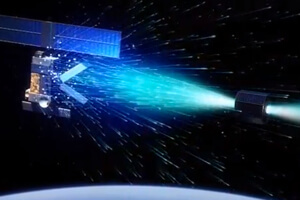 And because a good portion of orbital debris results from explosion of residual fuel tanks, operators should passivate (yes, it’s a word) spacecraft, that is, switch off batteries, drain fuel, and vent pressure tanks. 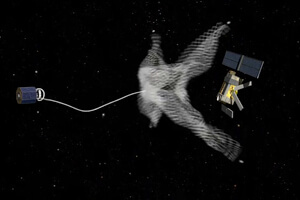 Further, ESA recommends sending spacecraft into lower, less trafficked orbits (less than 600 km) where the odds of collision are lower and the orbit will decay naturally, sending the satellites into the atmosphere within 15 years. Another option, if enough fuel remains, is controlled reentry into the atmosphere immediately. Capturing an object with a net and using a rocket to tow it into a safer orbit. But active removal of existing space junk is also necessary to avoid collisional cascading. ESA estimates removal of five to ten pieces of debris a year should go a long way to mitigating the effect. But it’s going to take some doing. Most active removal methods are capital-intensive and still being researched. These include towing debris to safer orbits or into the atmosphere by attaching rockets to objects (either directly or by way of a net), using a sail to increase the surface area and atmospheric drag of objects—even bombarding them with ions from an ion thrust engine. Further, space debris is a global problem requiring a global solution, and that entails international cooperation and agreement, which can be hard to achieve.